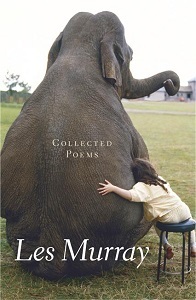 Les Murray’s Collected Poems displays the full range of his poetic art. This volume contains all the poems he wants to preserve, apart from the verse novel Fredy Neptune, from his first book The Ilex Tree (1965) to Poems the Size of Photographs (2002). In tracing Murray’s artistic development, it shows an ever-changing power, grace and humour, as well as great versatility and formal mastery. Les Murray lives in Bunyah, near Taree in New South Wales. He has published some thirty books. His work is studied in schools and universities around Australia and has been translated into several foreign languages. In 1996 he was awarded the T. S. Eliot Prize for poetry, in 1998 the Queen’s Gold Medal for poetry, and in 2004 the Mondello Prize. His most recent collections of work published by Black Inc. include The Biplane Houses, Fredy Neptune, Selected Poems, Collected Poems and Killing the Black Dog. Taller When Prone is Les Murray’s first volume of new poems since 2006’s The Biplane Houses.